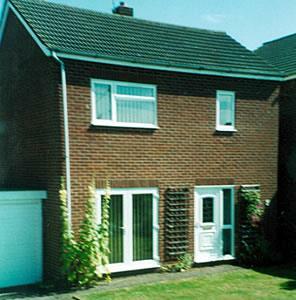 14 Church Street01603 744233work Self-cateringDetached modern two bedroom house, 10-15 minutes walk from quayside. Detached modern two bedroom house, 10-15 minutes walk from quayside. Two bedrooms, double beds with duvets. Upstairs bathroom, bath, WC, shower. Sitting room/diner with Freesat satellite TV, video, DVD. Electric and solid fuel heating. Well-equipped kitchen. Garage/parking space. Patio area, enclosed. Bicycles. From Fakenham take the B1105; turn right into Burnt Street/Church Street. From Kings Lynn take the A149 down to Furlong Hill; turn right into Burnt Street/Church Street. Public transport: take the Coast Hopper bus from Hunstanton or Sheringham; No. 29 bus from Fakenham.